The Oral Medicine department's main focus is the healthcare of acute and chronic medically related disorders of the oral and maxillofacial region (e.g. the mouth, jaws, face and neck). The Oral Medicine department’s main focus is the healthcare of acute and chronic medically related disorders of the oral and maxillofacial region (e.g. the mouth, jaws, face and neck). Clinics are held from 9.00am – 5.00pm Monday to Friday. 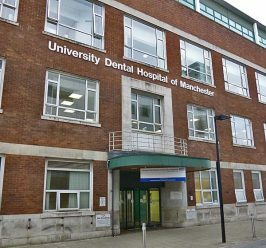 Admission to the Oral Medicine department is by referral from your Dental Practitioner or GP.